The DSS cuts boards “In-Motion”, there is no need to pause the boards to execute the cuts. 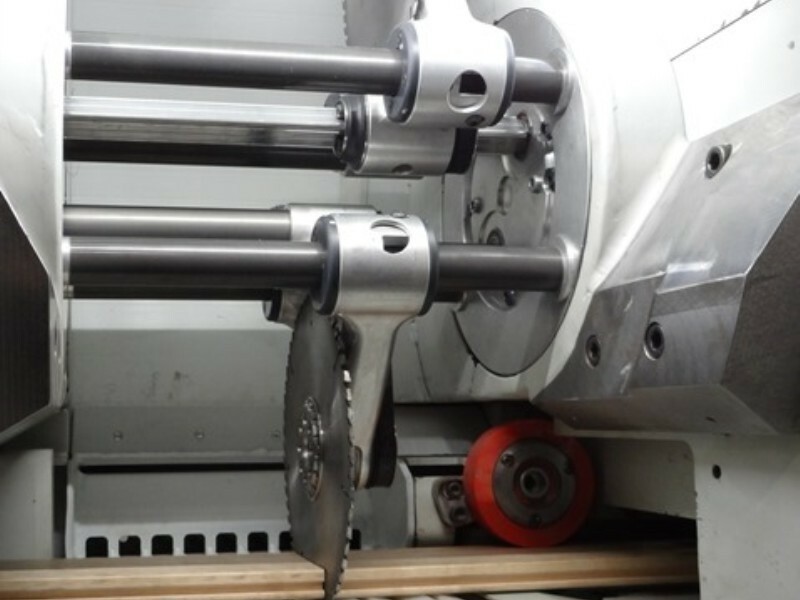 Cuts are executed while the boards pass through the saw. 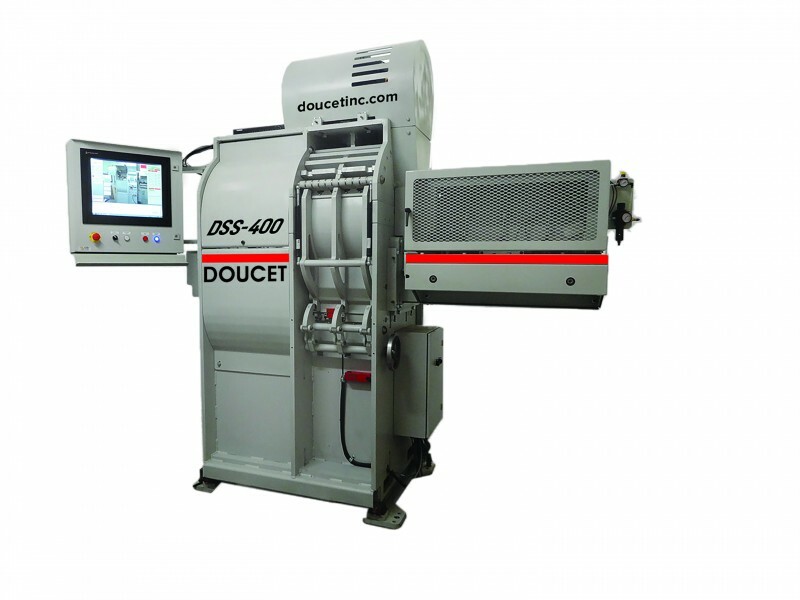 Up to 8 cuts per second at 400 linear foot per minute. 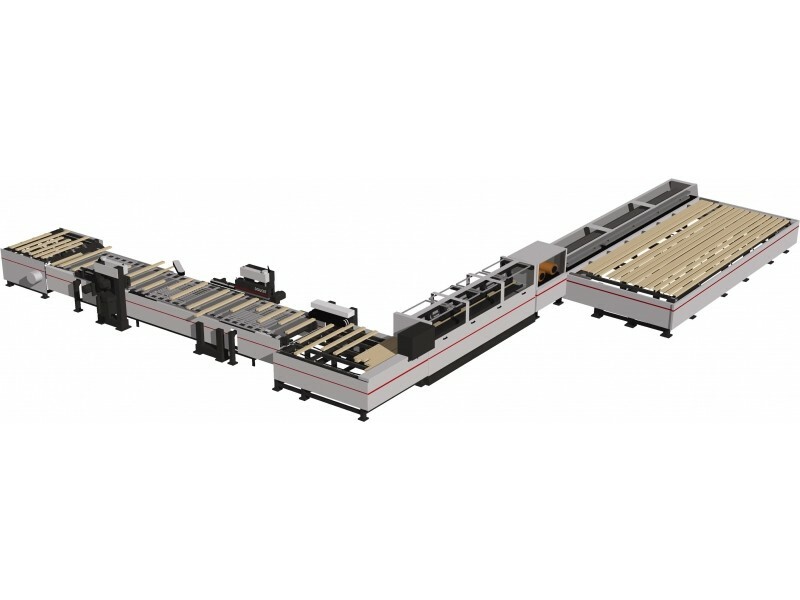 The DSS In-Motion Crosscut Saw is designed for flooring/component mills operating a moulder at a feed rate up to 350 feet per minute. Parting away from the "stop, chop and go" operating principle, the DSS practically doubles the throughput capacity of traditional. One saw is capable of cutting upwards of 150,000 lineal feet down to the floorboard level in an 8 hour shift. 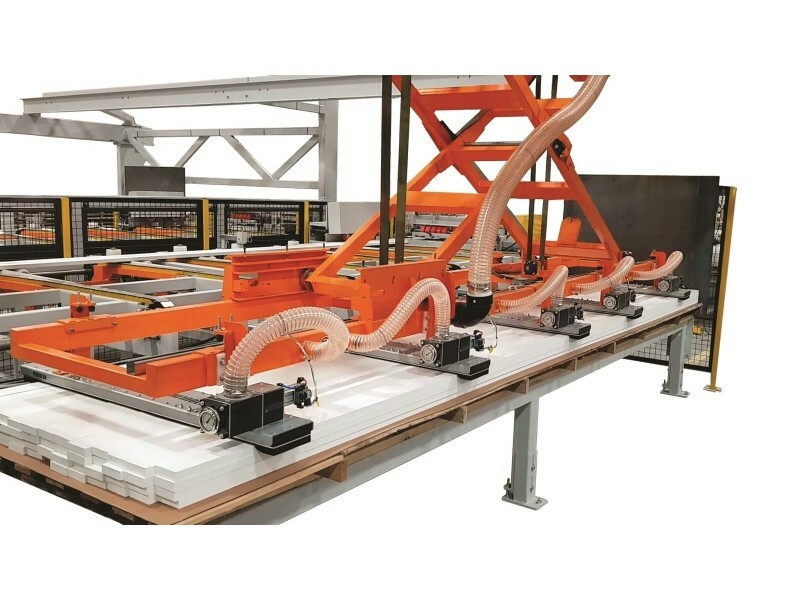 Installed immediately behind the Grading Scanner, the DSS provides for a continuous, uninterrupted flow of material between the Side-Matcher, the Grading Scanner and the End-Matcher. Boards are received good-face-up from the Grading Scanner and the cutting list is transferred electronically from the Scanner to the DSS. Short defective pieces remaining on the floorboards are trimmed automatically on the End-Matcher. 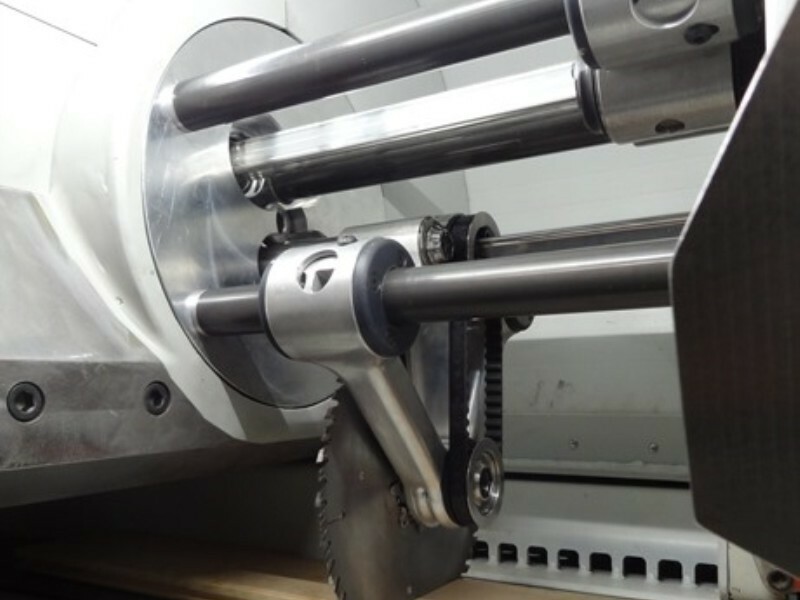 The DSS is relying on the most up-to-date technology, ensuring the upmost level of performance, precision and cut quality. An advanced industrial PC controls every steps of the cutting process execution. 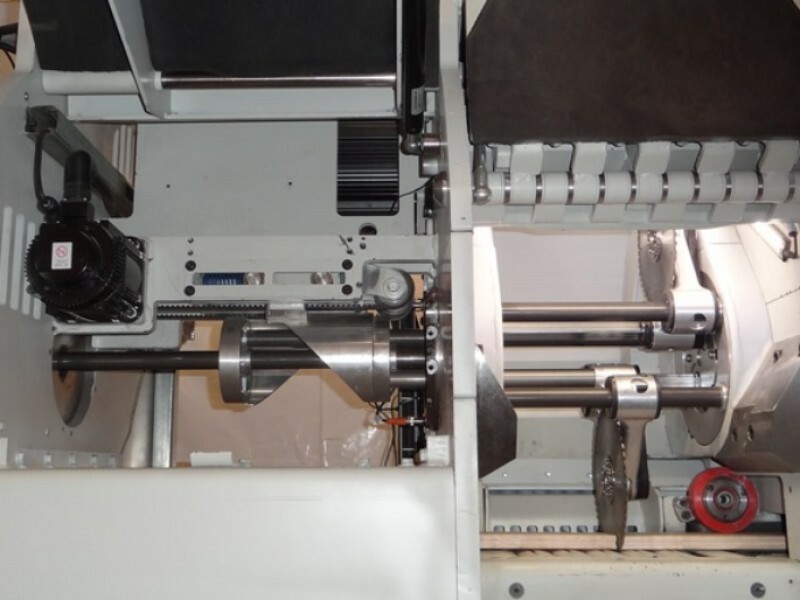 Six servo motors work in perfect harmony to execute the cutting routines. 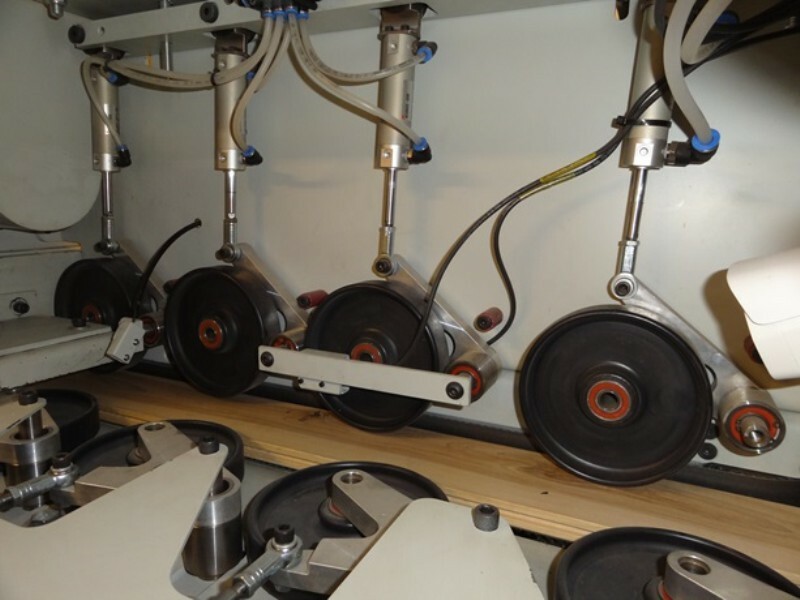 Gearboxes have been replaced by carbon fiber transmission belts, thus eliminating any source of backlash that could compromise speed and precision. 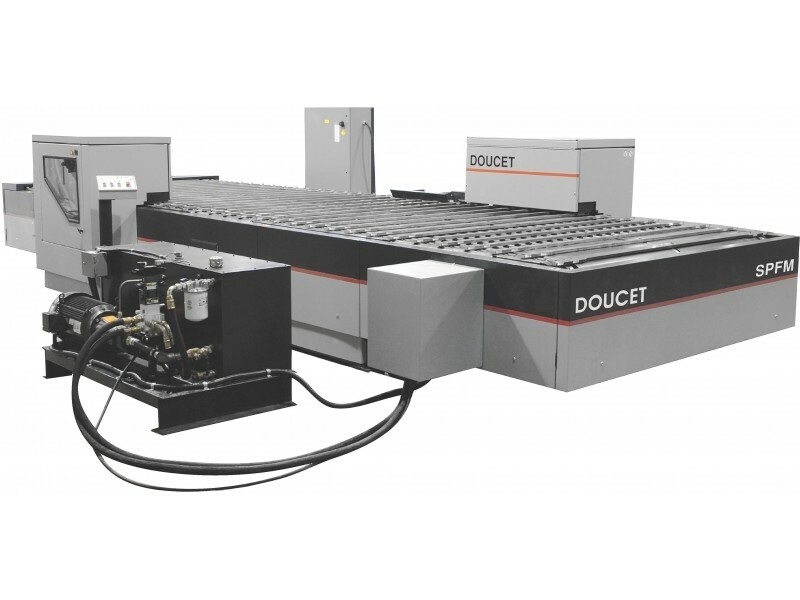 High-tech alloyed materials and aircraft engine grade aluminum have been selected and precision machined to obtain the highest level of dependability and durability. Options could be developed according to customer needs.